Fruit and vegetable multidecks are ideal for grocers and supermarkets wanting to provide a top quality chilled display with fruit and vegetables. Designed specifically for the retail of fruit and vegetables, the multideck chiller is the ideal way to keep your fresh produce chilled while creating an effective retail display. The Frilixa Marao multideck is best used for the display of fruit and vegetables in convenience stor.. 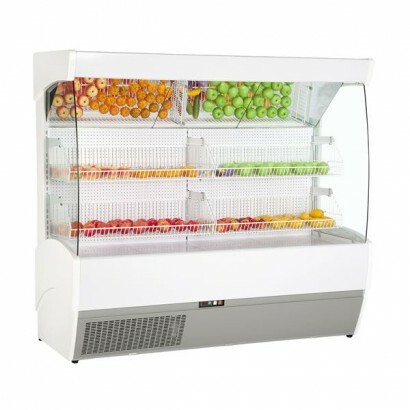 The Frilixa Marao 120 multideck is best used for the display of fruit and vegetables in convenience .. The Frilixa Marao 150 multideck is best used for the display of fruit and vegetables in convenience .. The Frilixa Marao 200 multideck is best used for the display of fruit and vegetables in convenience .. The Frilixa Marao 250 multideck is best used for the display of fruit and vegetables in convenience ..